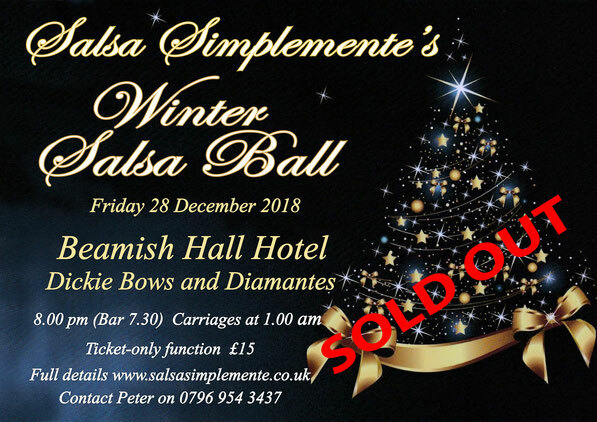 Winter Salsa Ball 2019 - Salsa Simplemente's Page. 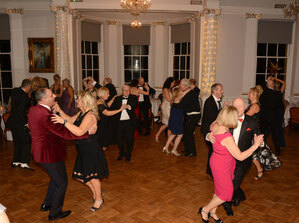 Winter Salsa Ball, Beamish Hall Hotel. so we will be having the Ball there again this year. Details later in the year but it will be very similar to last year's sell-out event. Details of LAST YEAR'S event. Another great night. Once again a simple mix of lovely people in a lovely room, play some great music, and watch the magic take over. Photos are available in public albums on facebook, you do not have to a be a member. Just click on the pictures below. 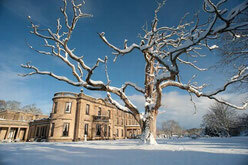 at Beamish Hall Country House Hotel. Album 2 - Mostly dancing. and the 6th at Beamish Hall Hotel. A simple yet elegant occasion and an opportunity to dress to impress - once again the theme is Dickie Bows and Diamantes. No classes or cabarets, simply a full night of socialising and dancing - mostly salsa of course, plus a sprinkling of son, cha-cha-cha, merengue, bachata and kizomba. Tickets are £15 and are available now. Dress Theme: Dickie Bows and Diamantes. there will be no opportunity to pay on the door. Simply contact me for details of paying by bank transfer. 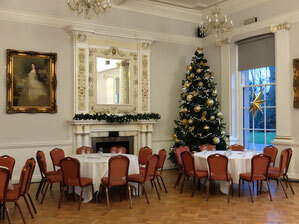 A taster from previous events in the Shafto Hall. Photos from previous functions are available in public albums - click here. Do Gentlemen have to wear a Tuxedo or dinner suit? NO. The theme is Dickie Bows and Diamantes, a chance to really dress up for the evening. Lots of guys don’t have DJs, but they do have a black or white shirt. Ladies spend a lot of time, energy and money preparing for this night so gentlemen just need to treat themselves to a bow tie and be a suitably smart backdrop for the glamorous ladies, they'll appreciate it. Can I pay at the door? NO. This is a ticket-only function. Can I reserve tickets? NO. Due to problems doing this in the past I no longer reserve tickets. You pay me money (cash or bank transfer), I give you tickets. Seeemples! to go to the Beamish Hall website. Beamish Hall is a 4-Star hotel. Why not take the opportunity to treat yourself and stay overnight.